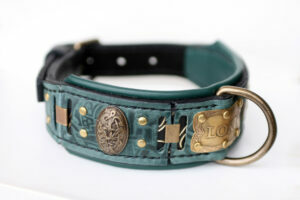 Custom made or customized dog collar refers to a collar with the dog ID tag. 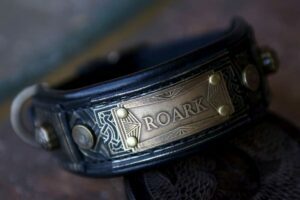 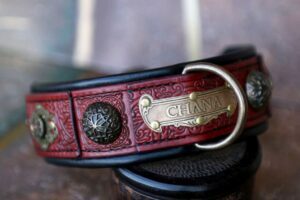 Dog’s name can be engraved to a metal plate. 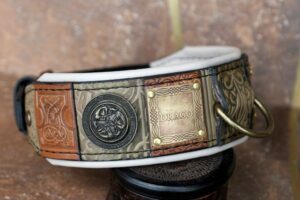 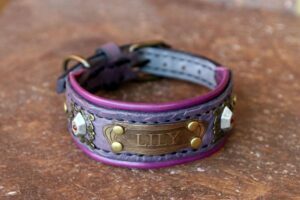 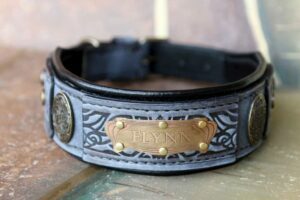 Then we speak about the personalized dog collar with the dog name plate. 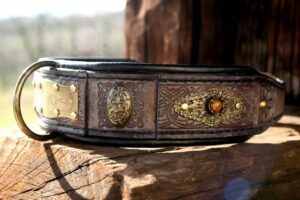 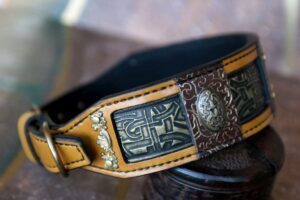 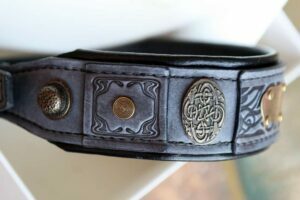 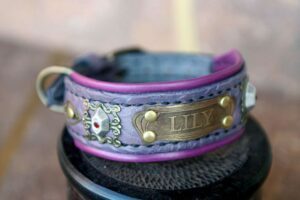 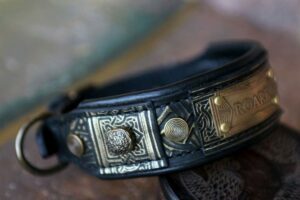 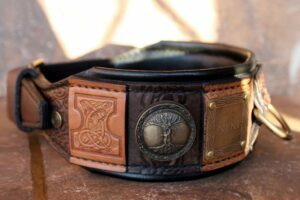 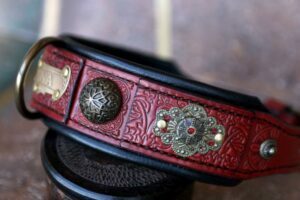 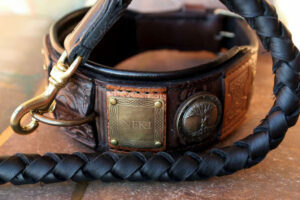 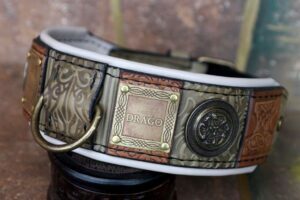 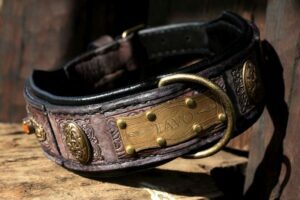 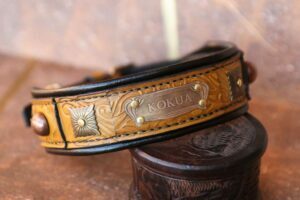 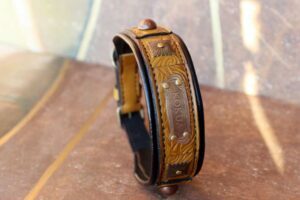 Custom made dog collar also refers to the unique handmade collar that was specially designed for the dog following customer’s wishes. 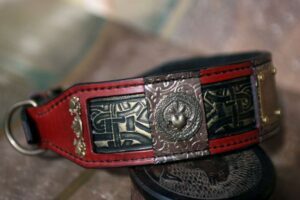 In Sauri Workshop we put great emphasize on personalized unique dog collars that can wear a dog ID tag but more so represent a dog’s unique character with collar’s unique, special and artistic design.